In Regional BBQ Sauces Throughout The United States, we went over some delicious condiments that different states use in their cooking. Lately, we have been thinking about BBQ sauces that are international. What do other countries use for BBQ sauce? Are they just as obsessed with BBQ sauce as we are? In today’s blog, we’ll be diving into international BBQ sauces and what different countries use to flavor their meats. 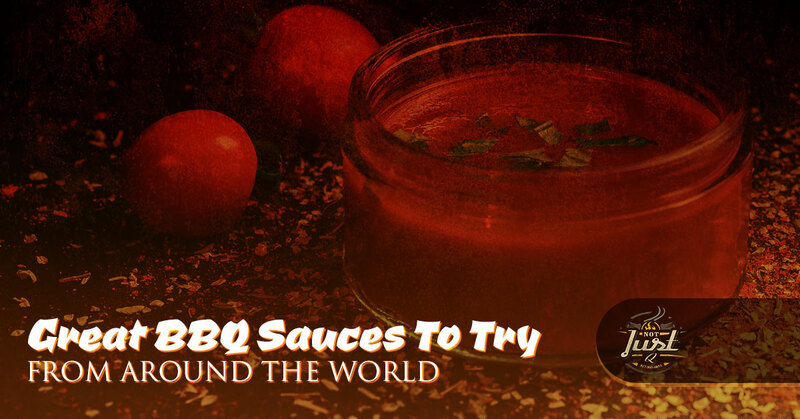 We chose a few different international BBQ sauces from all around the world. Some of them you may have heard of and others you might have no clue about. Keep in mind that BBQ for us means thick, sweet, and tasty marinade or condiments. These BBQ sauces don’t have that beautiful brown color or the consistency. However, they are used to marinade meats and make them tastier, which is the definition of BBQ sauce. In China, the BBQ sauce is considered to be hoisin sauce. Hoisin sauce is a Chinese sauce that is a base ingredient. Hoisin is in many recipes and is used to flavor different Chinese dishes. Hoisin sauce is Peking style and is made with a variety of ingredients that vary from wheat, rice, water, sugar, soybeans, white distilled vinegar, sweet potato, and sesame seeds. In Honduras and El Salvador, chirmol is used in steak. If you go to a Honduran or a Salvadoran restaurant, then you’ll probably be served a bowl of chirmol. Chirmol is a tomato sauce that has some spice to it. You might mistake it for salsa because of the consistency and the look, however, the flavor is very different. The flavor of chirmol is lime juice, oil, and vinegar. In Vietnam, this BBQ sauce is fruit-based. Mam Nem is a pineapple and shrimp sauce. It may sound like an odd combination, but the pineapple, fish sauce, and the shrimp make up a sauce that is great for meats and fish in this part of the world. The flavor of this sauce is a mixture of sweet and salty with a touch of anchovies if they are used. Romesco is a Spanish BBQ nut sauce that comes in a combination of roasted vegetables when you order a grilled meat. Romesco goes great over grilled fare. Romesco is a European favorite because it’s one of the most distinctive sauces that is used on the continent. The sauce is thick with charred vegetables, spiced nuts, and chiles. To add some spice to it, there’s also a Spanish dried chile included called a ñora. Lastly, there is the chimichurri sauce, which you’ve probably had on steak in certain restaurants. Chimichurri sauce is from South America and is usually served with steak. It’s a national table sauce and is spicy with herbs in a kind of salsa. There are many different types of chimichurri — some with cilantro, parsley, and even green Chilean chiles to add some kick. 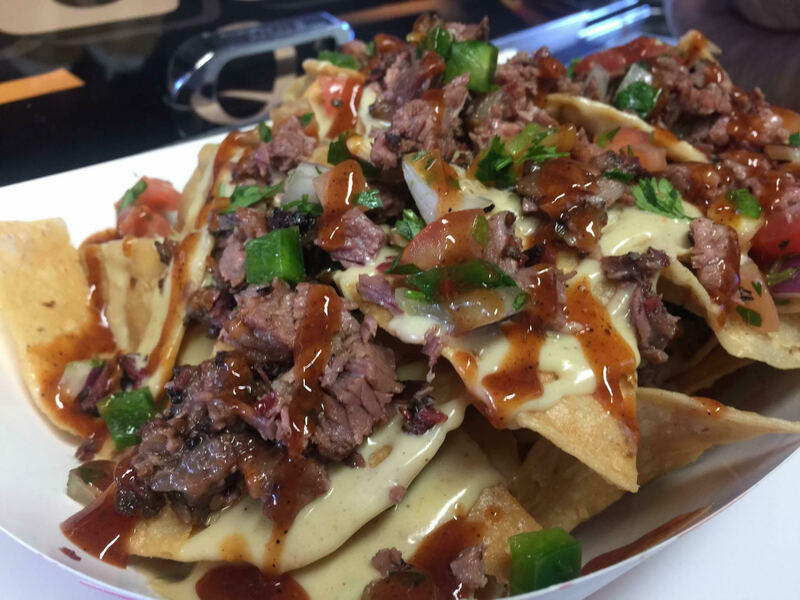 Not Just Q is a catering and a food truck company. If you have an event that you want to be catered, then our services are perfect for you. No matter if you’re having a graduation party, wedding, or an intimate gathering, our event catering services are perfect. Our company is willing to work with you when it comes to financing and figuring out the size of your party. 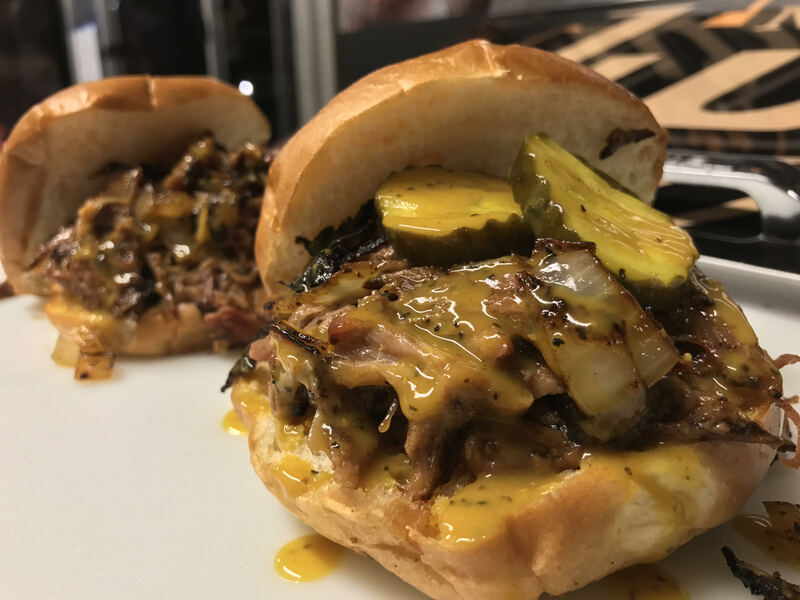 If you love BBQ as much as we do, then we want to cater your special event. Contact us if you have a special event you want to be catered.